Acne are also known as pimples. It is one of the most common problems in teenage children. In some cases acne can develop before and after teen years. Most common age of developing acne is from 12 years to 25 years. Boys are more prone to get acne than girls. Acne are more common on face, however they can also affect neck, back, chest etc. It is said that 3 in 10 teenagers have acne that are bad enough to require treatment to prevent scarring. Acne are formed when there is too much production of sebum- an oily substance that is secreted by sebaceous glands, irregular shedding of dead skin and bacteria growing inside the acne. Hair follicles are connected with sebaceous glands. Sebaceous glands produce an oily substance that is carried to the skin surface via hair shaft. When excessive amount of sebum is produced, sebum and dead skin cells can build up in the hair follicles and form together as a soft plug, creating an environment where bacteria can thrive. This plug leads to bulging of follicular walls producing whitehead. Or in some cases when the plug is open dirt can get trapped in it leading to blackhead. When the bacteria cause inflammation of the whitehead or blackhead, pimple is formed. Pimple has raised red spots with a white center. Cysts are formed by blockage and inflammation deep inside the skin. Hormones: Androgens are hormones that increase in boys and girls during puberty and cause the sebaceous glands to enlarge and make more sebum. Medications: Drugs that contain corticosteroids, androgens or lithium are known to cause acne. Diet: Studies shows that certain dietary factors, including dairy products and carbohydrate rich foods such as bread and chips, which increase blood sugar may trigger acne. A family history of acne: if your parents had acne, you’re likely to develop it. Friction or pressure on your skin- Acne develop more in the areas of friction or pressure. E.g Items such, helmets, tight collars and backpacks, bra straps. For any acne treatment to be successful it needs to reduce oil production, speed up the skin cell turnover and fight bacterial infection and reduce the inflammation. The more these goals are achieved, the more successful your treatment will be. Oral prescription does work but it should not be used during pregnancy, especially during the first trimester. Chemical peel and dermabrasions have been used to treat minor scars, fine lines or sun damage are most effective when used in combination with other acne treatments. The acne scar treatment includes soft tissue fillers, chemical peels, micro derma brasions and Laser treatments. In this treatment, collagen or fat or other soft tissue fillers are injected under the skin and into scars which fill out or stretch the skin, making the scars less noticeable. Chemical peels involve high-potency acid being applied to your skin to remove the top layer and minimize deeper scars. When some stronger peels are used, they reach even deeper into the skin. Depending upon the depth of skin layer targeted, there are 3 types of chemical peel available at Dezire clinic, Delhi. They are superficial or lunch time peel, medium peel and deep peel. To see the final results, patients need to get a series of chemical peels in superficial chemical peel. At the end of 6 peels spaced between 2-4 weeks apart, you will see the result of glowing, smooth skin without any acne scars. Patients can return right back to work after superficial, glycolic peel. This is a fairly newer acne scar treatment. It involves a handheld device that blows crystals onto skin. These crystals gently remove the top skin layer leaving behind a smooth skin. Then, a vacuum tube removes the crystals and skin cells leaving behind smooth skin surface. Since only the top layer of cells is targeted, the skin doesn’t get damaged. In laser treatment for acne scars known as laser resurfacing, a laser beam destroys the outer layer of skin (epidermis) and heats the underlying skin (dermis). As the wound heals, new skin forms. Less intense lasers (non ablative lasers), pulsed light sources and radio frequency devices don’t injure the epidermis. These treatments heat the dermis and cause new skin formation. With Carbon Laser all the causes of acne are treated at the skin level at each session. While results can be notable at the first session in general at least three treatments at 2 week intervals. Some side effects of laser skin rejuvenation include swelling, itching, lighter looking skin, pink or red skin areas. These side effects are relatively mild and easy to cope with; these side effects are virtually insignificant hence the treatment is very safe. How to prevent having acne? It is a well known fact that “ Prevention is better than cure.” Keeping in the spirit of prevention strategy, you may need to continue your acne medication or other treatment to prevent new acne breakouts. Sometimes, you might still need to use a topical medication on acne-prone areas, continue taking oral contraceptives or attend ongoing light therapy sessions to keep your skin clear. Washing your face with gentle cleanser and avoiding touching or picking the acne areas can go a long way in prevention of acne. Washing removes excess oil and dead skin cells. But too much washing can irritate the skin. Wash areas with a gentle cleanser and use oil-free, water-based skin care products. Keeping your makeup on skin overnight can clog tiny openings of the hair follicles (pores). Also, be sure to throw out old makeup and clean your cosmetic brushes and applicators regularly with soapy water. When you wear tight fitting clothing, it traps heat and moisture and can irritate your skin. Also, whenever possible, avoid tight fitting straps, backpacks, helmets or sports equipment to prevent friction against your skin. Shower after exercising or doing strenuous work. Oily, fried foods and chocolate have been proved to have little to no effect on the development or course of acne. Dirty skin: Acne isn’t caused by dirt. As a matter of fact, scrubbing the skin too hard or cleansing with harsh soaps or chemicals irritates the skin and can make acne worse. Simply washing with mild cleanser to remove excess oil and dead skin cells is all that’s required. At Dezire clinic Delhi, we offer the best treatment for acne and acne scars. Upon your personalized visit with doctor, he will discuss the right course of treatment for you and will also discuss the cost for your treatment. The cost of acne scar laser treatment depends upon the surface area that needs treatment. 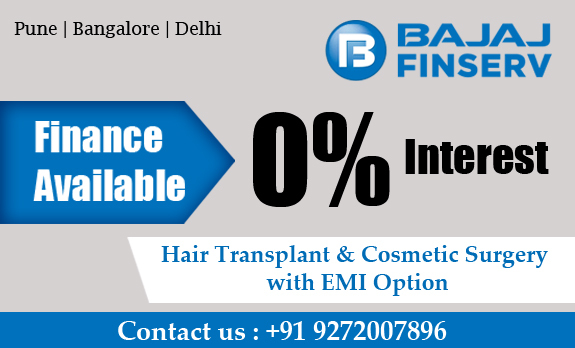 To know exact cost of your treatment please make an appointment with one of our offices at Pune, Bangalore, Delhi or Gurgaon location. On your visit our expert doctors can give you an estimate of the cost for your treatment.